Just over a year ago I made a physics apparatus to help students develop a good mathematical model of acceleration. The idea wasn’t original to me, I just made it easy to make via 3d printing. My design works really well, but I wasn’t really satisfied with it. It consisted of a ring with two cones glued to the center of both sides. The side of the disk facing down always needed some clean-up prior to gluing. I let redesign ideas percolate in my brain to see if I could come up with something better. 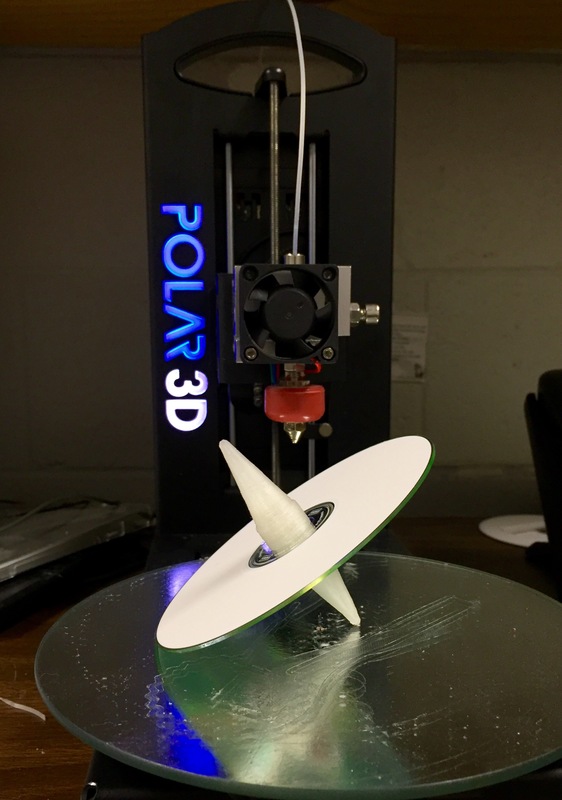 Then a couple months ago I saw a cool spinning top on the Thingiverse. The two halves screw together and are sized perfectly to fit a CD. The instant I saw this I immediately knew I could do the same thing for my acceleration apparatus. All I needed to do was combine my idea with the nut-bolt bits from the top. For me the ability to easily share, iterate, and re-mix existing designs is where the power of 3D printing really hits its stride. I don’t have the CAD skills to make working screw threads and even if I did I wouldn’t have hit on using a CD as the disk. Since Gwo-Shyong Yan shared his design on the Thingiverse with a Creative Commons License I was able to not only find inspiration, but I could also build directly on his work. After the inspiration came the iteration. Overall, I printed at least seven different versions before I was satisfied. I was trying to balance printability, usability, and overall appearance. When I was done I was pretty happy with the final design. Of course, since I completed my original design more than a year ago I’ve already printed a full set of my old apparatus for the physics teacher in my school, so I really have no need of a new design. So, why did I spend several hours on this project? There are really multiple reasons that all play into why I spent a Saturday working on this. I wanted to create a thing that other teachers could use with their students. I also wanted to add back to the community of Makers so that someone else might find inspiration to create something cool. But really I did this just to see if I could. I did it for the sheer joy of making a thing. That others might find this useful or interesting was really secondary. This makes me wonder, how do we engage our students to embark on things like this? How do we get them interested enough in doing a thing that they are forced to learn the bits they need to get it done? If you have any insights into this, or really any thing else please share them with me in the comments or via twitter (@falconphysics). 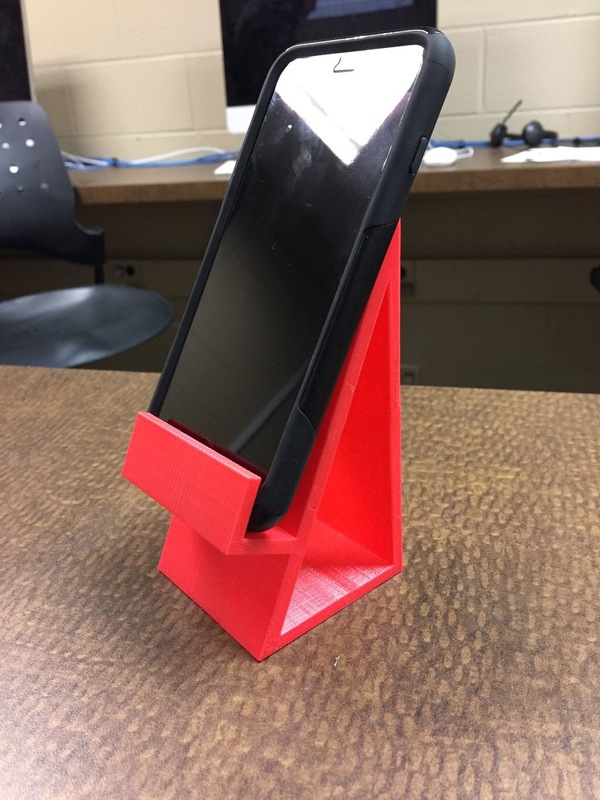 If you’re interested, you can find my final design on Thingiverse. 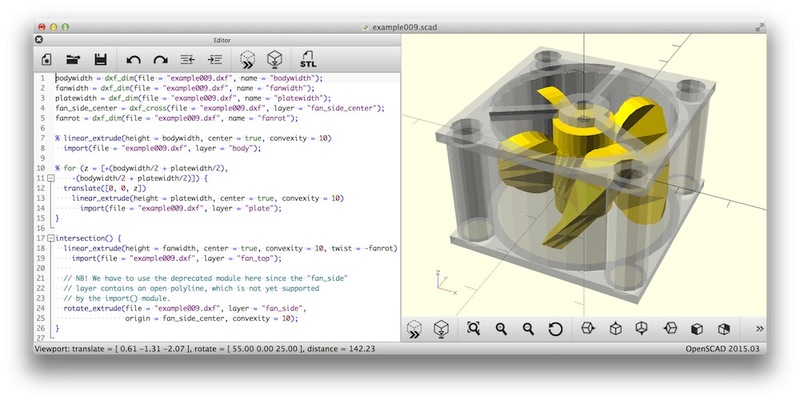 You can also find links to my Tinkercad projects there in case you want to modify my designs. Tutorial for an Arduino RC Car? OK, now that that’s out of the way lets cover how I would tackle this problem. Tony is an awesome math teacher in Zeeland, Michigan. He co-teaches a project based math/physics class. I’m going to work from the assumption that he’s working with students starting with little previous knowledge of electronics and Arduino programming, and that he’d like to leave as much room as possible for students to explore. Everything I cover will be with that in mind. With a project like this you need break it up into pieces. I’m going to think of this as a robot even though it won’t be autonomous because we still will have a computer controlling an independently moving device. As with any robot type project you have three fundamental challenges, the programming, the electronics, and the mechanics. However, with this project we’ll need to consider a forth part I don’t usually think about with a robot, and that is the control mechanism. You could go crazy with this and start with a platform like Tuggy from the very cool OpenRC Project. While totally awesome I think this takes all of the thinking away from the students and simply turns them into mechanics. Which is fine if that’s your goal. Instead I’d start with ThinkFun’s MakerStudio collection of building sets. You can buy sets or download and print from the Thingiverse. I’d start by having students play with the gears and such and make simple cars with parts available, then begin thinking about what their RC car needs. They’ll need to make a variety of decisions. How will their cars be steered? Will they use skid steering (like a tank) or rack and pinion (like a car)? What sort of platform will they need? I’m not sure a Mac & Cheese box is the best choice. How many motors will they need? Will they use gearbox motors or simple DC motors and then use the gears in the set? Some of these decisions might be made by the teacher and some or all might be left out the students. I’d probably go with simple DC motors and use the gears from the set. Once these decisions have been made students can then think about the parts in the MakerStudio kits they don’t have but need. Things like motor mounts, rack and pinion mechanisms, bits to mount the gears to the platform of choice, and such. 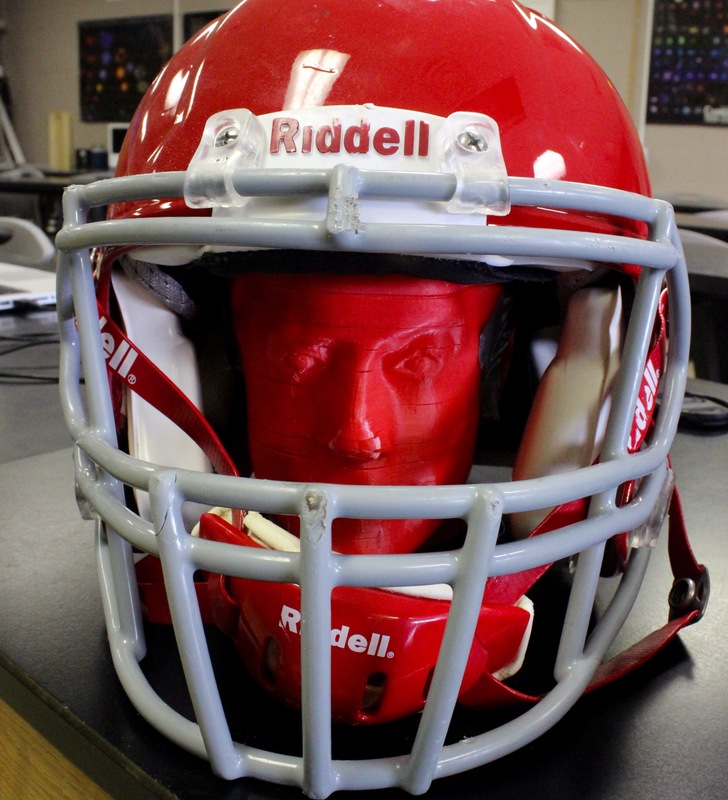 These could should all be designed and 3D printed by the students. Tony asked for Arduino, so we’ll stick with that. It also doesn’t hurt that I know a lot about using Arduinos with high school students. Unfortunately, you can’t run any sort of reasonable motor directly from an Arduino. You need some sort of transistor or h-bridge. 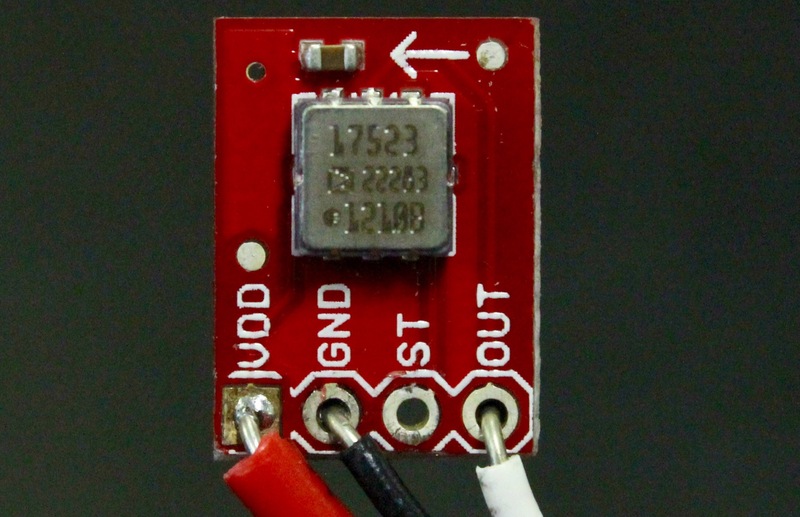 Digital outputs on your Arduino only put out 40 mA, this is woefully inadequate to power a motor. Students can wire an h-bridge themselves, but I highly recommend using a motor shield. I’ve had many students use an h-bridge and breadboard their circuit which mostly works. There are a lot of connections that need to be made and by the time students got to soldering stuff together numerous problems would typically crop up. In order to get around a lot of headaches I now have students use motor shields and skip all the complex wiring. You can buy shields from China really cheaply, but I like to use SparkFun Electronics. 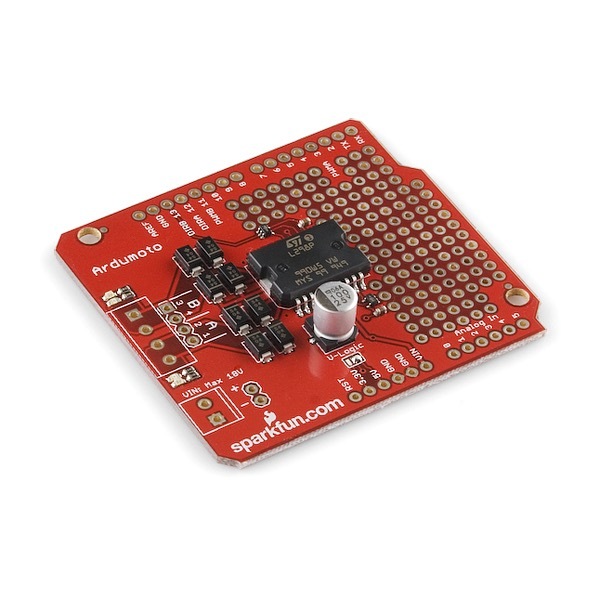 SparkFun is based out of Colorado and they offer an educator discount of 20% and allow you to easily set up payment accounts allowing you to pay via purchase order. The other thing I really like about SparkFun is that they include code example and/or tutorials for almost everything they sell. So I can hand a shield to a student and then point them to the product page and step back. Most motor shields will allow you to control two motors, perfect for skid steering. If your students chose to go with rack and pinion then you can get away with one drive motor, but you’ll need a servo-motor for steering. There are lots of tutorials for controlling servos with Arduino and ideally where ever you get your motor shield will tell you how to wire your motors to it and give you a simple program to control your motor(s). At this point we just have programming and control mechanism left. I have some ideas about control mechanisms, but I haven’t done any of these in the past. When I say “I” that really means my students. So, I’m going to do a little more research and then another post. More than likely I’ll be looking at some sort of the cool BlueTooth module and an app running on a cellphone or tablet. There are other ways, but controlling a robot with your phone is just too cool. So today I’m geeking out a bit. The school’s 3D printers are in another room on the other side of the building from my office. 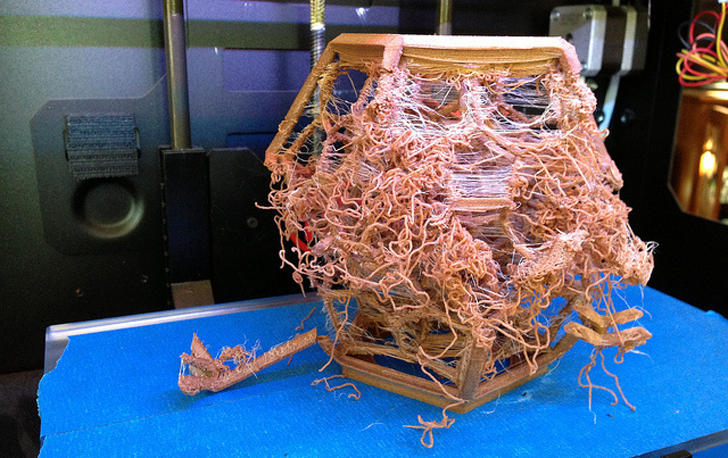 If you’ve ever used a desktop 3D printer then you know they have a tendency to fail. This can be a problem when you are not near the printer. A while ago I figured out that I could use a cheap webcam and stream the operation of our printers live to YouTube. It’s not riveting video, but it lets me keep an eye on things. However, when things go wrong I still have to run down the hall to stop the printer. Enter Chrome Remote Desktop. This lets you use Chrome to remotely access a computer that you are signed into. 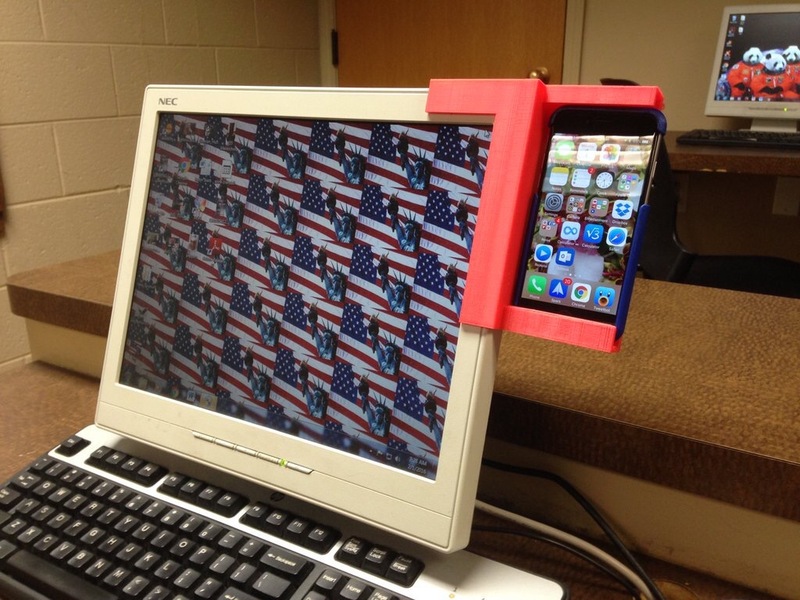 It’s pretty easy to set up and I can even access it from outside of the school building. If I use the same computer that is running the 3D printer I can cancel the print job remotely. This means I could start a long print job and still monitor it from home. If things go wrong I can stop the printer from making a pile of spaghetti.